The eviction process in San Francisco can begin unexpectedly and moves quickly if the tenant fails to take adequate steps to protect his/her rights. Once a landlord serves a three-day notice it is important for the tenant to seek the advice of an eviction defense attorney that is familiar with the San Francisco Rent Ordinance, Oakland Rent Ordinance, and/or Berkeley Rent Ordinance. When the three-day notice expires, the landlord can file an unlawful detainer lawsuit (commonly referred to as an eviction). Once the tenant is served with the lawsuit, the tenant has a mere five days to respond in writing to the court. A letter to the court will not suffice. If you have been told that you are being evicted so that the owner of the property can move into your apartment under the Ellis Act, you may be owed relocation expenses. Also, keep in mind that you do not have to move without a court order. Notice does not suffice and it may be a bluff. Additional moving expenses are available for disabled or senior citizens. Contact a lawyer to ensure your rights to relocation expenses or to stay in your apartment. If you have received an eviction notice for nonpayment of rent, you may have options if your apartment is in serious disrepair. You may not be obligated to pay rent, and have the right to withhold rent, until the landlord makes improvements. Contact an eviction defense lawyer at BV Law to discuss your situation and your legal options. Schedule a free consultation by telephone at 415.835.6777. If you face eviction, it is imperative that you act quickly. Contact an experienced eviction defense lawyer at Bracamontes & Vlasak, P.C., to help fight an improper ejection from your home. For a free consultation on your eviction circumstances, call us at 415.835.6777 contact us by email. After the suit has been served to the tenant, the tenant has five days to respond in writing to the court. Proper responses include, but are not limited to, demurrer, motion to quash service of summons, motion to strike, or an answer. In San Francisco, a tenant can only be legally evicted for just cause and specific enumerated reasons. In some cases, a landlord will say that the building is in foreclosure or that the building has been sold; these are not just causes for eviction in San Francisco, Oakland or Berkeley. Your rights remain the same under a new owner, whether it’s a bank or another individual or corporation. Contact an attorney at BV Law immediately if you have been given either reason for an eviction notice. 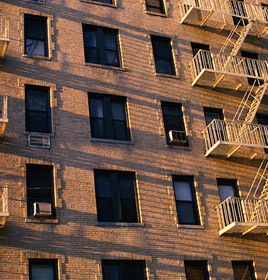 If the landlord has refused to make repairs to your unit you should contact a just cause attorney immediately. In California, residential landlords are obligated to keep units in a clean, sanitary, safe and habitable condition. This is called the warranty of habitability. When a landlord has substantially breached the warranty of habitability, the tenant may not be obligated to pay rent. A breach of the warranty of habitability can be a valid defense to an unlawful detainer for nonpayment of rent. Also, be sure to contact an eviction defense lawyer if you have received notice that your landlord intends to “buy out” your rent-controlled apartment. It’s important to know your rights to stay in this situation.